Award-winning composer Wlad Marhulets will score much-anticipated horror video game DARQ – a project started by the composer himself. Just as his score for Bob Shaye’s Ambition, Marhulets will record the score for DARQ with the Budapest Scoring Orchestra. It will be mixed by Adam Schmidt, a sound engineer known for his work on Inception, Pirates of the Caribbean, The Dark Knight Rises, and others. DARQ soundtrack will be released separately soon after the game release, which is planned for early 2018. 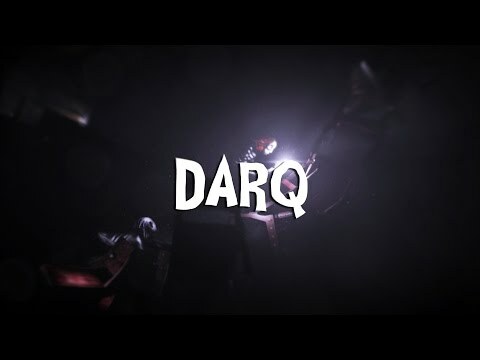 DARQ is a video game project started by the composer himself in November 2015. He had sent the prototype of the game to Steam in December 2015 and it became one of the 10 most upvoted titles on Steam Greenlight. Since then, the game has attracted a cult-like following and much attention from the press. It went viral on social media and is now considered one of the most anticipated horror games to be coming out. DARQ tells the story of Lloyd, a boy who becomes aware of the fact that he is dreaming. To Lloyd’s misfortune, the dream quickly turns into a nightmare and all attempts to wake up end in failure. While exploring the darkest corners of his subconscious, Lloyd learns how to survive the nightmare by bending the laws of physics and manipulating the fluid fabric of the dream world. Apart from gravity-defying puzzles, Lloyd will have to use stealth when nearby enemies. He has no chance of winning in an open confrontation, since the creatures he will encounter are much more powerful and faster than him. Instead, he has to rely on careful planning to avoid getting detected. Jump scares in DARQ serve one purpose: they help establish that in a dream world anything can happen at any time. However, this isn’t a game that is all about jump scares. Quite the contrary, they rarely occur. DARQ is more about building tension and anticipation in between jump scares. Once the player knows that a jump scare could happen, they are more likely to stay on the edge of their seats for a very long time. The game is designed to be a moving artistic experience. Elegance is the key word in DARQ’s art direction – it serves as a means of seduction, or an invitation for the player to step in and develop and emotional connection with the experience as they progress. The goal is to make the player like being there, even though being there involves facing their fears. Wlad Marhulets is a 5-time ASCAP award-winning composer and the winner of Azrieli Prize in Music. He has recently scored a feature thriller Ambition by Bob Shaye (The Lord of the Rings) and has worked alongside Marco Beltrami on The Giver, Hitman: Agent 47, and The November Man. Wlad’s music was performed by major orchestras around the world. His most recent concert composition was The Property, an opera premiered by Lyric Opera of Chicago. Darren Aronofsky’s usage of sound design in Pi, Black Swan, mother!